Eduardo Berardo, the latest craftsman of the Brazilian group of knife-makers mentored by Jerry Fisk has crafted this very clean Integral fashioned in a Sendero style Hunter. 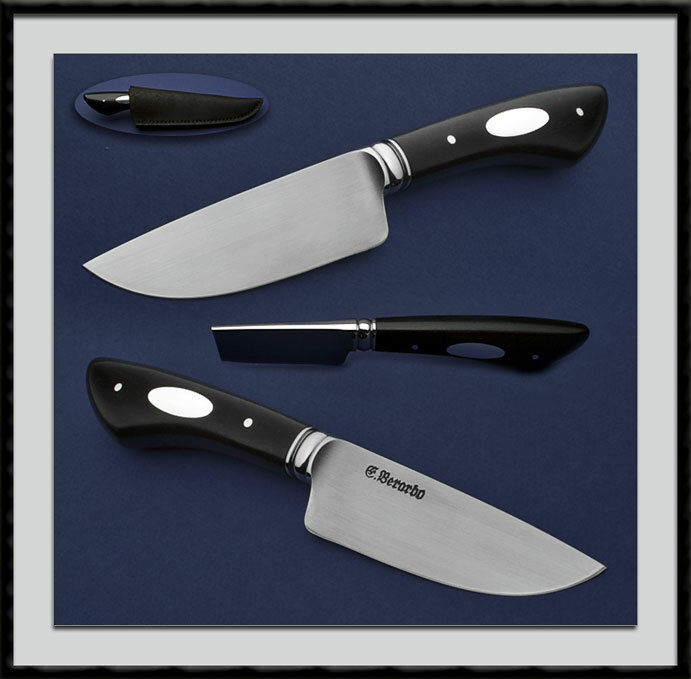 BL = 4", OAL = 8 7/8", Flat ground 52100 with a hand rubbed satin finish, Distal taper with a rounded and polished spine to match the Fluted Integral guard, Ebony Handle accented with Silver Escutcheons. Fit and finish are excellent. Condition is New. Comes with the custom Buffalo Leather sheath pictured.